Although the general election is still over six months away, the two major current Elk Grove mayoral candidates are ramping up their fundraising efforts. While this is not surprising in the era of the permanent campaign, their approach is a barometer of what we may see in the coming months from the two candidates. The two main candidates - incumbent Mayor Gary Davis and challenger Elk Grove Planning Commissioner Kevin Spease - will be holding fundraisers in the next few weeks. First up will be Spease, who is holding a fundraiser dubbed "Sunshine on Elk Grove" event this Thursday. In his email, Spease is touting his major sponsors who are locally owned businesses. Among those major supporters of the event included Gil Moore Oil Co., Event Sponsor $2,500; Future Energy, Beer Sponsor, $750; and Silva's Sheldon Inn, Food Sponsor $500. Among the 11 $350 and $250 sponsors are Nancy and Pablo Espinoza, Paintrite Pros, Pins & Strikes, and Sinful Treats. A conservative calculation shows this event will raise at least $6,500 for Spease. For a challenger going up against an entrenched incumbent, this is a respectable take. As a challenger, Spease is unlikely to tap into the major donors in the development community that incumbents have access to, so his strategy seems to focus on tapping small business owners in Elk Grove. Along with his wife Angela, Spease owns a locally-based business himself and is active in the Laguna Sunrise Rotary Club, which could provide a springboard into the network of small business owners. While Spease is unlikely to tap into the developer money that Davis has access to, for his first major fundraiser Davis is focusing on a multi-cultural theme. In an email sent this morning, Davis' first event will be held on Monday, May 16 and is called "One City. Many Cultures. United." 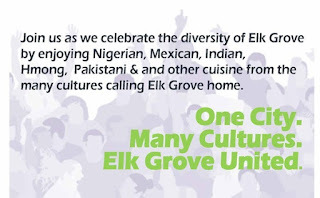 The email said, "Join us as we celebrate the diversity of Elk Grove by enjoying Nigerian, Mexican, Indian, Hmong, Pakistani & and [sic] other cuisine from the many cultures calling Elk Grove home." Among the sponsorship levels mentioned in the email are Host, $5,000; Sponsor, $1,000; Friend, $500; and Per Person, $100. While the sponsorship levels suggest that Davis will continue to rely on donations from developers money, the tone of this event could be an indicator of his reelection strategy. 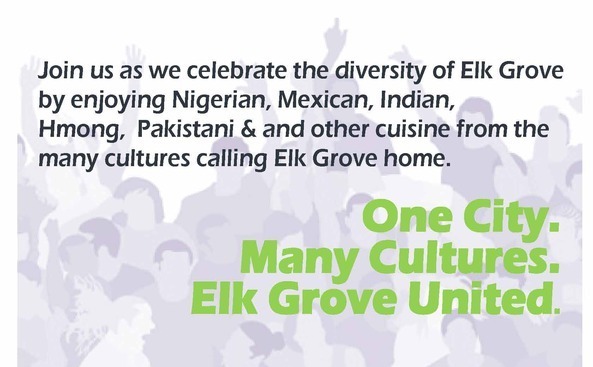 It seems likely that Davis will step back from the rhetoric about economic development, public safety, and the various athletic facilities schemes and instead focus on building a coalition of Elk Grove's diverse electorate. Many things can happen in a six month period, like negative advertising attacks, but the focus of these two early fundraising events could be early indicators of some of the rhetoric coming out of Davis and Spease's campaigns.